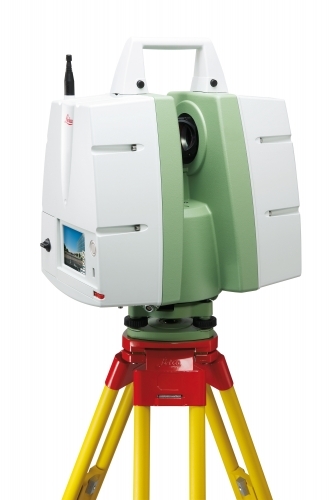 Badey & Watson offers scanning services using its Leica C10 High definition laser scanner. The system provides the ability to capture and process literally millions of precise survey points. Scanning can be conducted indoors, as well as outdoors and under any lighting conditions. The millions of points can be used for making direct measurements from the electronic "point cloud" that the system captures. The data can be processed into a very detailed and precise electronic model of the subject. The system was developed and designed to allow the capture of the survey information without interfering ongoing processes, operations or construction activities. The C10 has a 360 degree horizontal by 270 degree vertical field of view. Individual points captured by the system have an accuracy of +/- 6 mm at 50m. As-built surveys of complex facilities or conditions such as processing plants; and bridge surveys for 3D Visualization. The products deliverable from the scanning system can be developed into various formats depending upon the client's needs. The raw data or "point cloud" is delivered with a minimum of post-processing. The point cloud can be delivered with software that allows end users to pan, zoom, rotate and make and post measurements without the need for further processing. With additional post-processing, the data can be developed into a 2D or 3D electronic drawing or model. Pick the pictures above to view examples of our work.